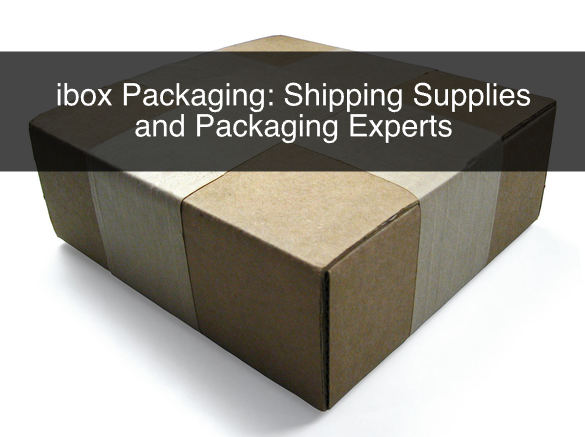 As you may know, at ibox Packaging we are a group of experts that excel at packaging design, creating innovative retail packaging solutions and manufacturing quality industrial packaging products. However, this post will touch base on another part of our business that it is very relatable to packaging, and it is shipping. We pride ourselves in offering the highest quality shipping supplies to protect your package during transport. It is important to remember that the state in which your package gets to your client reflects how they will perceive your product or company. There are many ways to maintain a positive image through shipping your package. Ensuring that your package reaches your customer undamaged is something that they expect, without putting into consideration the many things that could go wrong during transport. They expect great customer service, and having their package get to them in good conditions is good customer service. In shipping there are many ways to look at how to effectively get your product ready for transport. Whether it is sealing, adding stability to a number of boxes in a pallet, adding materials so that the product doesn’t shift inside a box, we offer the highest quality shipping supplies to ensure that a shipment gets to the recipient undamaged. We offer products such as pallet wraps, a large variety of tapes, craft rolls, bags, tape roller dispensers, bubble wrap etc. Having the perfect box comes a long way when in to comes to shipping. Not only do you ensure that your orders are being shipped in boxes that fit a certain amount of products, but also it could be sustainable as it may help reduce weight and transportation costs. Also, by getting unique boxes, you will ensure that the recipient of the product will always remember who you are and how you package your product. It will give you brand recognition. Not only could we custom design the shape of your box, but also the graphics that will make you stand out from your competitors. Our custom boxes will help you ensure that you always maximize space by fitting the right amount of product in them, ensure that they are protected, and ensure that whoever receives it is able to dispose of it with ease by recycling them. People don’t realize that when the supply chain is large, these boxes travel through a lot of places and through a lot of hands and most importantly eyes. If you have a branded box you ensure that everyone in that supply chain knows that it is your company that is shipping products. If you have well designed box with attractive designs, you may start getting this people to talk about your product. Achieving word of mouth is a great marketing technique that benefits any company. In marketing the idea is to have contact with your consumer in every way possible. Our advice is to have your packaging designed by an expert so that it catches the attention of everyone in your target audience. For more information, or questions about shipping supplies custom boxes or protective packaging please contact us. Also, sign up to our newsletter for more information, company updates, price specials, and more.